A large property, this prominent site contains mixed office space and industrial accommodation within close reach of the A34 bypass. The prosperous location is already home to some big names and there are two supermarkets nearby. Due to popular demand, there are now a second phase of smaller office suites available, having been recently refurbished. 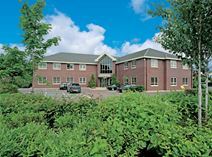 Ideally located in the centre of Handforth Village and within a short drive of Manchester airport, this building has one available office suite on the second floor, on a managed, all-inclusive basis. As well as being situated on well-maintained landscaped grounds, the property offers free on-site parking facilities and a good CCTV network. Handforth Train Station is located a short five minute from the work centre. 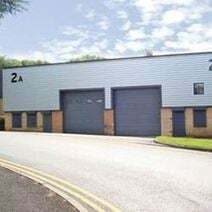 Conveniently located within walking distance of the railway station and well connected to the motorway junction and to Manchester Airport, this building offers 2 large industrial units and modern spaces which can be used for small workshop or storage. Available at flexible rental terms, they are provided with parking area and numerous other facilities. These spaces are surrounded by shops and restaurants. A selection of office spaces of various size is available to let in a prestigious building in Wilmslow. These offices are provided with double glazed windows and advanced lighting systems, parking facilities and a professional staff to support your business in your daily activities. 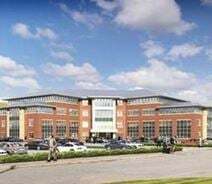 Easily connected to the town centre, to Manchester airport and to the motorway, these offices are easily accessible. This modern building enjoys an excellent location in the business park of Wilmslow, which is conveniently located in proximity of the motorway network and hosts numerous renowned companies, banks and shops. The building offers office suites of various size and spacious industrial units, all available at flexible rental terms and at a very convenient price. Located on Wilmslow Road, this business park provides excellent communication links. This is a high quality mixed-use development, comprising warehouse and business units. This is a pleasant work setting, with ample parking. This modern self-contained two-storey office building is ideally situated in the prosperous Summerfields Village Centre, right next to the A34 and only one mile north of Wilmslow town centre. This business centre offers a range of onsite facilities including a health club, supermarkets, a pub/restaurant and shops. The building is sub-divided into several office suites and the newly decorated space offers many desirable features, including raised floors, 24 hour access, air-conditioning and suspended ceilings. The office building is equipped with lift, toilets and reception area, plus onsite parking.